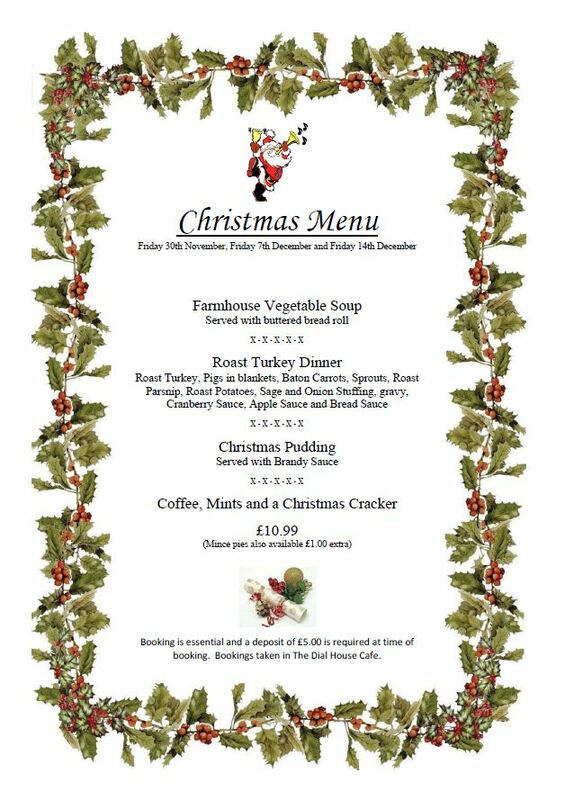 The Dial House Café is hosting three Christmas lunch sessions on Friday 30 November, Friday 7 December and Friday 14 December. We’re afraid we cannot take bookings over the phone as a deposit of £5 needs to be paid at the time of booking. Pop in to the Dial Café to make your booking in person. Places are limited so best to book soon. enable functions that help you use our websites and features to their full potential; improve the quality of our services and offer new ones; enhance security, and help prevent fraud.